A company building one of the 12 stadiums for next year's soccer World Cup in Brazil is recruiting Haitian workers after falling months behind schedule. I was in brasil in January 2014. 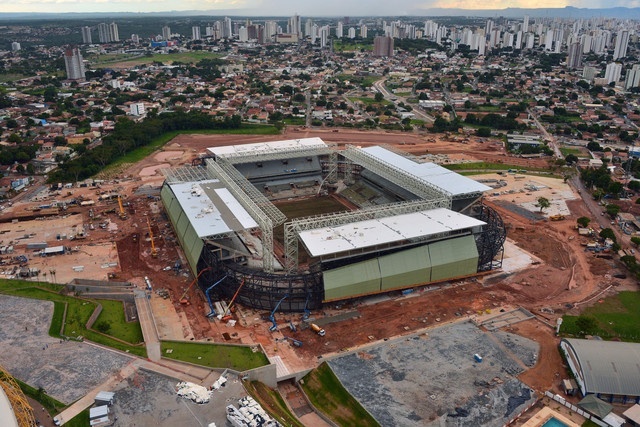 I stayed in curituba for 7 days one of most beautiful city in southern brasil.Yes in fact I visited that stadium. "They cant afford Brazilian workers so they're looking for cheap labor." Well, now you know. Brazil didn't allow Haitians into their country out of the kindness of their heart.